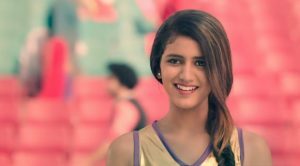 Priya Prakash Varrier is an actress from India. 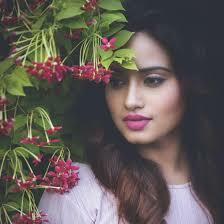 She was born on 28th October 1999 at Punkunnam, Thrissur, Kerela, India. Her father’s name is Prakash Varrier. He was an Employee in the Central Excise Department. Her mother’s name is Preetha Varrier. Priya Prakash Varrier has one brother. His name is Prasiddh Varrier. Check out the table below to get complete information on Priya Prakash Varrier. Priya Prakash Varrier’s height is 5 feet 4 inches and her weight is 50 Kg. Her age is 19 Years. It is not known if Priya Prakash Varrier smokes or drinks alcohol. Priya Prakash Varrier became midnight social media sensation from her video of the song Manikya Malaraya Poovi of the Malyalam Film Oru Adaar Love. After this popularity, Priya Prakash Varrier did her first advertisement of Nestle Munch. 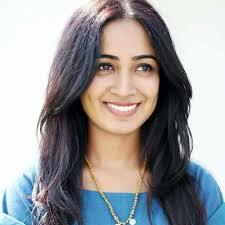 She has also appeared in the video song Nee Vaanam Naan Mazhai. Priya Prakash Varrier has won her first award from Outlook Social Media Awards for the Viral Personality of The Year 2018.